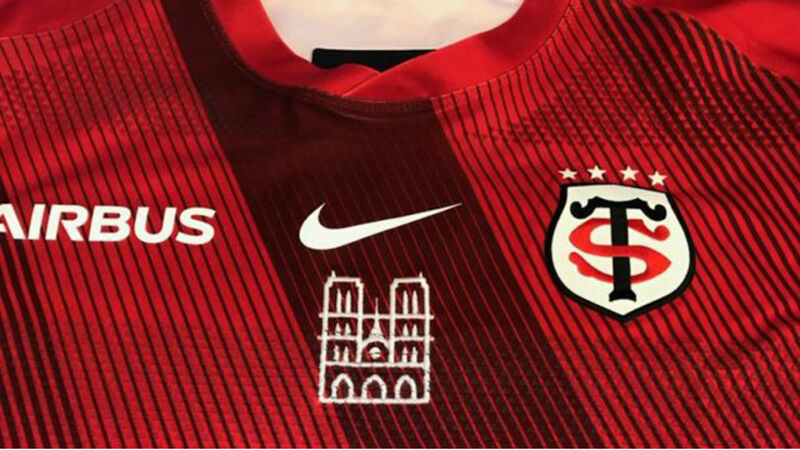 Toulouse players will wear a jersey featuring an image of Notre Dame in Sunday's European Champions Cup semi-final against Leinster, the Top 14 club have announced. A major fire engulfed the famous cathedral on Monday, causing the spire and roof to collapse on the 850-year-old Paris landmark. Ligue 1 champions Paris Saint-Germain have promised to back fundraising efforts, while Toulouse have revealed they will wear special shirts at the weekend that will then be auctioned off for the reconstruction effort. "What happened at the beginning of the week at Notre Dame does not only affect the French people, it is every inhabitant of the planet who is bruised by the tragedy that has come to this universal symbol," Toulouse president Didier Lacroix said in a statement on the club's website.